Are you struggling to get a restful night’s sleep? Do you often wake frequently choking or gasping for air because of pauses in your breathing? Although it may seem like nothing more than a nuisance, you could suffer from a serious underlying disorder. Sleep apnea affects roughly 22 million Americans. It causes you to stop breathing several times throughout the night due to an obstruction in the airway. Without quick treatment for sleep apnea in Garland, it can cause significant health complications. Why Do I Stop Breathing? The most common cause of sleep apnea results from an obstruction in your airway due to the fatty tissues of your throat or your tongue relaxing. Often, this results in loud chronic snoring, but that is not the only concern. The tissues or your tongue restrict airflow, stopping you from breathing frequently throughout the night. Each interruption can last for longer than one minute. While you stop breathing, your oxygen levels drop. Your brain senses the decreases and forces you to wake long enough to jumpstart your respiratory system to work properly. Each interruption places a significant strain on your heart. If it is left untreated, it increases your risk of cardiovascular disease, heart attack, and stroke. Although your brain partially wakes during the event, you most likely are not aware of it; however, it still causes a decrease in your sleep quality. As a result, it is common to wake in the morning still feeling tired, often with a headache. Over time the poor sleep quality can cause sleep deprivation to occur. If this develops, it makes your cognitive abilities decline, increasing your risk of auto and workplace accidents. In addition, you will likely have difficulty concentrating and mood swings. This can significantly impact your quality of life as you struggle to get the rest you need. To get the treatment you need, you are referred to a sleep clinic in Garland. You are monitored while you sleep to detect interruptions in your breathing and changes in your heart rate. Using the data gathered, a customized treatment plan is created. The most conventional solution involves the use of a CPAP machine, which delivers a steady stream of air through a mask that is worn over your mouth or nose to keep your airways open. 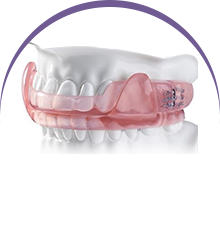 As an alternative, many people are now choosing an oral appliance. This repositions your lower jaw forward to prevent restrictions to your airflow. If you are experiencing pauses in breathing, do not wait to get the treatment you need. 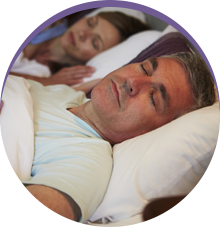 You can restore your sleep quality and protect your health with a solution right for you. 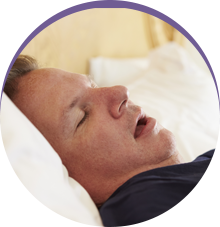 Sleep Rehab provides comprehensive treatment for obstructive sleep apnea using noninvasive solutions. We will improve your health and your sleep quality by helping you breathe better with a treatment that is right for you. If you need sleep apnea therapy, contact our office today to schedule an appointment.